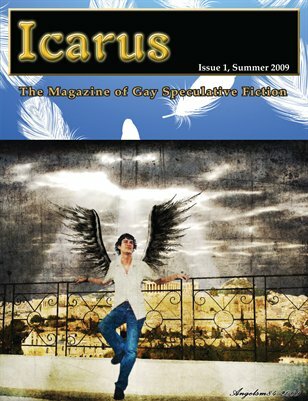 Icarus is the first magazine devoted to gay-themed speculative fiction and writing - from fantasy to horror to science fiction, and all the weird tales that fall between the cracks. Our first issue features short stories by Jeff Mann, Joel Lane, Jameson Currier and Tom Cardamone; interviews with Dan Stone and graphic artist Peter Grahame; poetry by Lawrence M. Schoen; plus book reviews, an article about the Gaylactic Network, and brief happenings in gay publishing. Icarus is published by Lethe Press.